Toronto, September 5, 2017 – Renowned conductor Yannick Nézet-Séguin is the recipient of the 2017 Oskar Morawetz Award for Excellence in Music Performance. 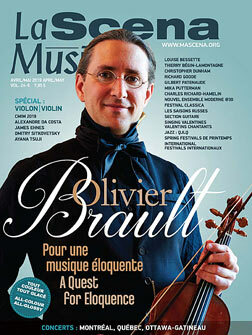 He will receive the award on Thursday, September 7 at 7:30 p.m., as he conducts the Orchestre Métropolitain’s performance of Fantastic Bruckner at the Maison symphonique in Montréal. Yannick Nézet-Séguin has been the Artistic Director and Principal Conductor of Montreal’s Orchestre Métropolitain since 2000. He is also the Music Director of the Philadelphia Orchestra and the Rotterdam Philharmonic Orchestra. In 2020, Yannick will become the Music Director of the Metropolitan Opera in New York, succeeding James Levine. Yannick has worked with many European orchestras and ensembles, including the London Philharmonic Orchestra and the Berlin Philharmonic. He has performed at festivals including the BBC Proms and the Salzburg Festival, and conducted at venues such as the Teatro alla Scala in Milan and the Royal Opera House in London. Yannick trained at the Conservatoire de musique du Québec à Montréal and Westminster Choir College at Rider University (Princeton, N.J.), and studied with renowned conductors, notably Maestro Carlo Maria Giulini. He holds several honorary doctorates, notably from l’Université du Québec à Montréal, McGill University, the Curtis Institute (Philadelphia) and Rider University. Among Yannick’s honours, he was named Musical America’s Artist of the Year, Companion of the Order of Canada, and Officer of the National Order of Quebec. He has also received a Royal Philharmonic Society Award, a National Arts Centre Award, and the Government of Québec’s Denise Pelletier Award and Medal of Honour. Established in 2007, the award honours the legacy of Oskar Morawetz – one of Canada’s leading composers of contemporary music, whose career spanned more than 50 years. Learn more about Dr. Morawetz. It is presented biennially to an outstanding Canadian performer, including conductors, in the field of classical music, recognizing talent and commitment to Canadian music. Previous winners are conductor Bramwell Tovey (2015), mezzo-soprano Judith Forst (2013), cellist Shauna Rolston (2011) and flutist Robert Cram (2009). The Ontario Arts Council administers the jury process for the Oskar Morawetz Award. This year’s jury consisted of Tamara Bernstein (Toronto), Denis Gougeon (Montreal) and Eric Paetkau (Saskatoon).